In recent years, obesity has become a prevalent health concern for children of all races in the U.S. However, Latino children – who comprise the largest minority group of children in the country – are among the most overweight and at risk for developing obesity-related health conditions, such as hypertension, Type 2 diabetes, and high cholesterol. Efforts to address these trends are compounded by the fact that approximately 1-in-10 Americans has limited English proficiency. 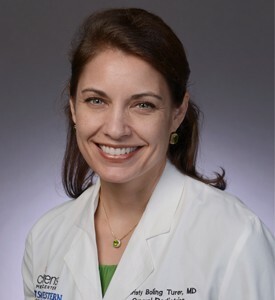 “During primary care visits with overweight children in which there is a language barrier, it is incredibly important to provide a trained medical interpreter or bilingual provider, and use a growth chart to communicate that the child is overweight,” said Dr. Christy Turer, Assistant Professor of Pediatrics and Internal Medicine at UT Southwestern and first author of the study. In the study, physician-researchers observed the primary-care visits of 26 Latino children ages 6 to 12 years old. Of the participating children, 81 percent were considered obese (body mass index greater than or equal to the 95th percentile), and 19 percent were considered overweight (body mass index greater than or equal to the 85th percentile). Language barriers impact communication that a child is overweight. Many overweight Latino children and their parents are not directly told that the child is overweight. Few overweight Latino children and their parents receive weight-management plans, culturally relevant dietary advice, or follow-up visits to address weight. Findings from the study also suggest that the terms pediatricians use to tell Latino parents that their child is overweight may be important. Next steps include identifying communication strategies for pediatricians and clinical practices that promote successful weight management among overweight children. Other UT Southwestern researchers involved in the study include Dr. Glenn Flores, Professor of Pediatrics and Clinical Sciences and holder of the Judith and Charles Ginsburg Chair in Pediatrics; Dr. Hua Lin, a biostatistical consultant in the Department of Pediatrics; and, Sergio Montaño a fourth-year medical student. The study was funded with support from National Heart, Lung, and Blood Institute, and the National Institutes of Health.